Have you visited our sister site GlamourSavvy? GlamourSavvy offers a wonderful selection of vintage clothing from all eras, weather you like vintage 1950's, 1960's Mad Men style, retro 1970's or the 1980's (80' style is back big time this season), GlamourSavvy has it all! 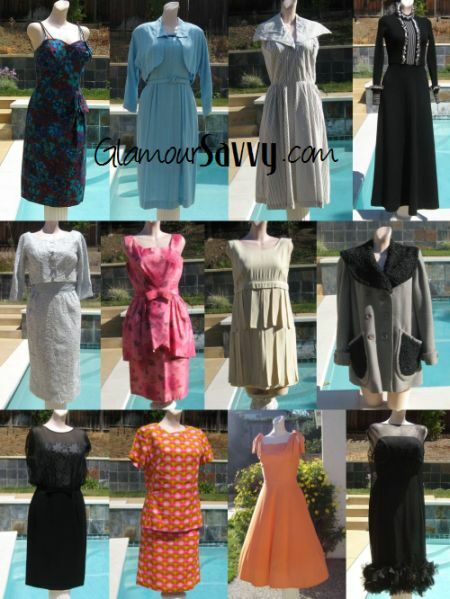 Just a few of the fabulous vintage clothing items now on SALE @ GlamourSavvy.com. We're celebrating Spring by offering our customers 25% OFF all items through the end of March. Just enter code word MARCH at checkout and your discount will apply. We've got a wide selection of vintage items from the 1950's - 1980's including vintage day and evening dresses, suits, separates, outerwear, shoes and accessories for men and women. Plus we combine shipping! Get your Glam on at GlamourSavvy! The Vintage Turban - so Parisian Chic! The Aussies have it Goin On!